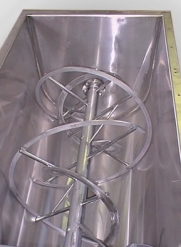 Bulkmatic Ribbon Blenders are manufactured using the “contra-flow” ribbon to ensure gentle and even mixing of product. Ribbon Blenders are primarily used in the food industry but have applications in a diverse spectrum of industry such as blending of cement, fertiliser, grease constituents and plastic masterbatch. Laser profiling of supports and mounting brackets ensures consistent part size and ensures that drive shaft and ribbon shaft are correctly aligned during assembly. 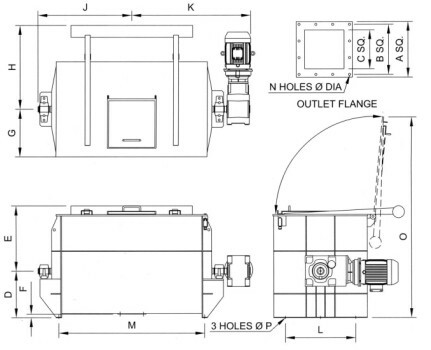 The robust trough is designed for structural rigidity allowing the ribbon blenders to be started in the filled condition without distorting the trough. 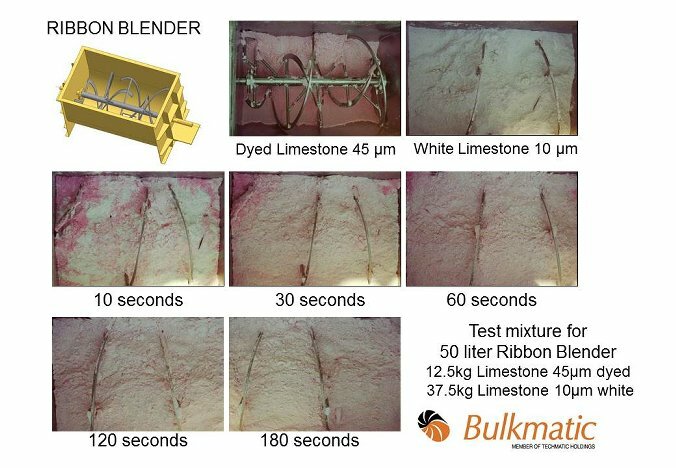 For special applications contact Bulkmatic to arrange for blending tests on specific materials. Maintenance is simple as the ribbon shaft can be removed from the trough without opening the bearings, stuffing boxes or removing the drive shaft. Stuffing boxes are fitted with four gland packing layers and can be supplied with air purging on request. Optional extras include steam jacketing, stainless steel 304 or 316 construction, support stand, loading platform with stair access and pneumatic knifegate for the outlet. Standard sizes include: 50 litre, 100 litre, 500 litre, 1000 litre, 2000 litre, 2600 litre and 4600 litre. Other sizes manufactured on request.